Home Will Indo-US Relations Survive The Strain of Geopolitics? The US permanent envoy to the UN Nikki Haley, known for her hardline views on Iran and Russia, visited India from June 26-28, 2018. The visit should have strengthened Indo-US relations but the impact seems to have been just the opposite. The perception in the media is that Nikki Haley asked India to rethink its relations with Iran on whom the US is on the verge if imposing sanctions. According to media reports, Nikki Haley impressed upon the Government of India to reduce its oil imports from Iran. She is reported to have said that no waiver from sanctions will be granted to any country after 4th of November when the US impose sanctions on Iran. Earlier, a senior US senator, the head of Senate Arms Committee who was visiting India, had also indicated in a television interview that India’s purchase of S-400 missile systems from Russia will not go down well with the Congress. Ironically, President Trump and President Putin are going to hold a summit meeting in July in Helsinki. If all goes well, the pressure on India may be reduced somewhat. On its part, India has made it clear that it will only abide by UN sanctions on Iran or Russia and not by any country-specific sanctions. However, the ground reality is such that US sanctions are feared by most companies who have substantial business dealings in dollars and with US companies. As the US dollar is the international currency of business, US sanctions greatly affect the international payment system. In the past, before the Joint Comprehensive Plan of Action (JCPOA) was signed, India was forced to reduce its off-take of oil from Iran. It continued to buy some oil and devised a rupee payment system for the purchases. The rupees accumulated over the years in an Indian bank and part of these were used to finance India’s exports to Iran. This time around, a similar method which avoids payment in dollars may have to be employed. However, India, which is the second largest importer of oil from Iran after China, has a problem in using the accumulated rupees. 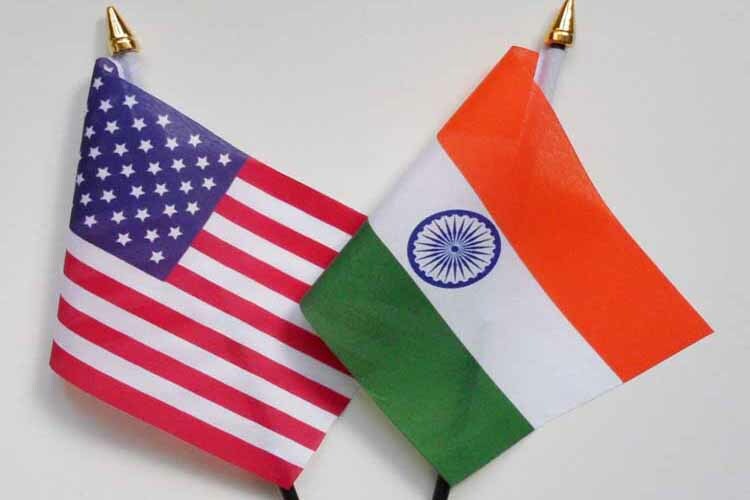 The much-awaited 2+2 dialogue between the Indian external affairs and defence ministers and their US counterparts which was to be held on 6th July, has been postponed indefinitely for ‘unavoidable reasons”. No new dates have been announced. The US government says that the postponement has nothing to do with bilateral relations. Nikki Haley in a TV interview said that Prime Minister Mr. Modi knew exactly why the dialogue has been postponed. The unexpected postponement has led to speculations that the emerging differences between India and US on Iran, Russia and on economic and visa issues were behind the deferment. Unless fresh dates for the dialogue are announced soon, the message will go out that not all is well in the bilateral relations. The two countries are on the verge of a trade war unless they step back from the brink consciously. Bilateral trade of US$115 billion (in 2016) is at risk. The US wants India to reduce barriers to address the US$31 billion trade deficit with India. It has imposed higher import duties on imports of steel and aluminium from India. India has retaliated by slapping higher import duties on 29 US products. India is joining Norway to take the US to WTO dispute resolution mechanism. 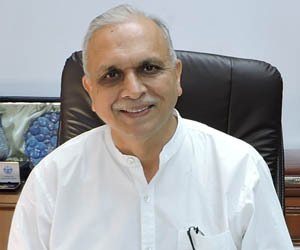 Indo-US partnership is presently under serious test. The two countries, whose strategic partnership is mutually beneficial, need to appraise the situation calmly and not let things go out of hand. The US should realise that India’s relationship with Iran is a stabilising factor for the region, particularly in Afghanistan. India-Iran relationship has nothing to do with Iran’s nuclear program in any case. Secondly, Indo-Russian relations are in global interest. If President Trump is meeting with President Putin to reset US-Russian relations, there is no reason why India should take any steps which affect Indo-Russian relations. India cannot be a hostage to its ‘Countering America’s Adversaries through Sanctions Act’, or the CAATSAi . It is anybody’s guess how Indo-US relations will proceed further. No doubt, India regards its partnership with the US highly, but this should not be at the expense of its relationship with other strategic partners. India should convince the US that India’s relations with Iran or Russia are critical and these do not impact the US adversely. On the contrary, these promote stability in the region. If the US regards India as a strategic partner, it should show sensitivity to India’s concerns. It should recognise that India is a big market for US products, including defence manufactures. Several US companies are eying the expanding and lucrative Indian defence market and want to set up defence manufacturing plants here. A shortsighted approach in this regard will not be to anybody’s benefit. Geo-politics is beginning to put strains on Indo-US relations. The positions on the geo-political chessboard are changing fast and presenting India with opportunities and challenges. This will require standing firm while negotiating with various countries in the national interest. i. Passed in 2017 Countering America’s Adversaries through Sanctions Act provides for sanctions for activities concerning cyber security, crude oil projects, financial institutions, corruption, human rights abuses, evasion of sanctions, transactions with Russian defense or intelligence sectors, export pipelines, privatization of state-owned assets by government officials, and arms transfers to Syria. India has a close security and defence cooperation with Russia. These activities may invite US sanctions unless India gets a waiver. This will have to be negotiated with the US. Interestingly, President Trump, while signing CATSAA into law, described it as ‘flawed’ and unconstitutional as it limited the administration’s right to negotiate with other countries. The EU reacted strongly has reacted strongly to CATSAA.